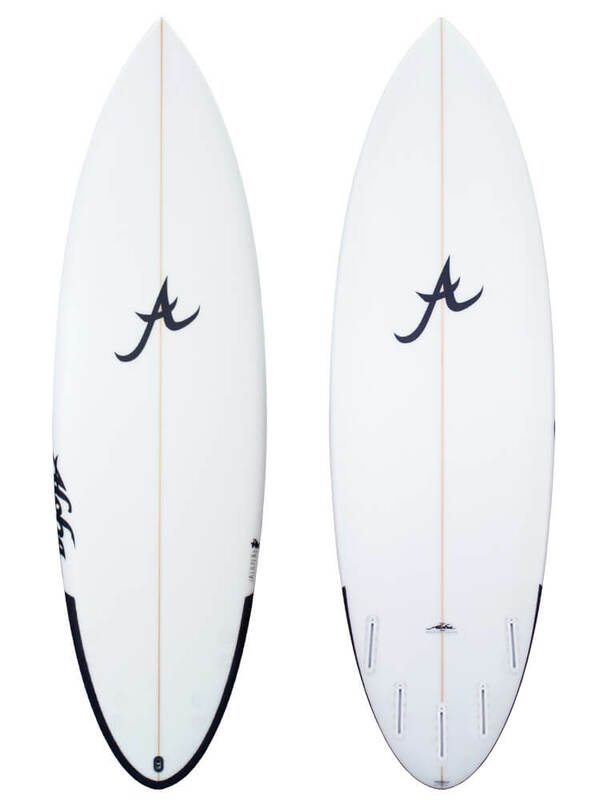 Quick Overview: “Stretched-out Mollusc, area nose, roundtail, slight single concave to vee through the back half with double concave cutting through the vee panel and fading out 9” before the end of the board, flatter deck to low soft rail, beak nose, slightly thicker tail. 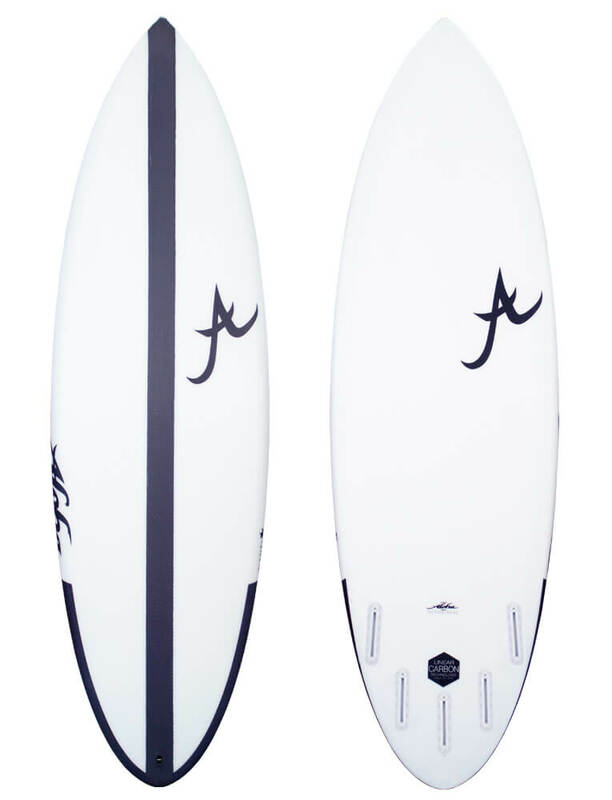 Ultimate wave catching assistance without sacrificing too much performance. 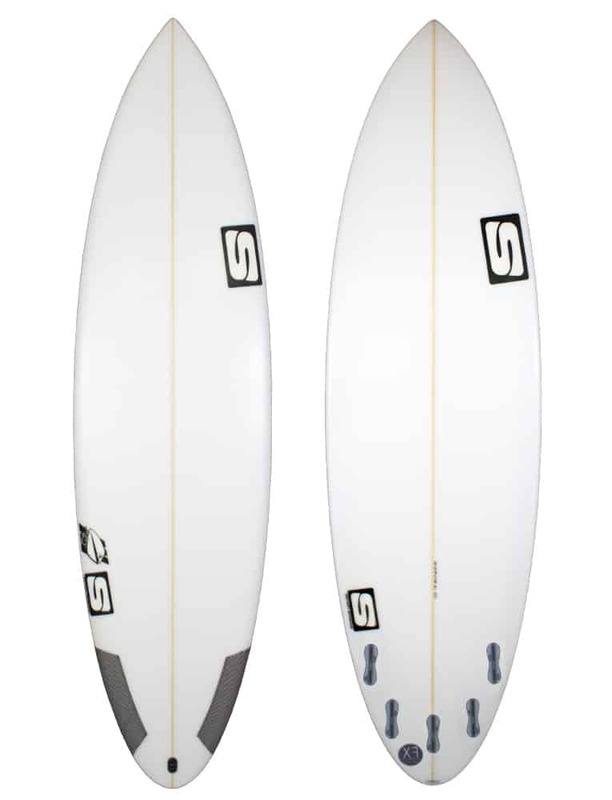 Good stand there speed and glide across the wave. 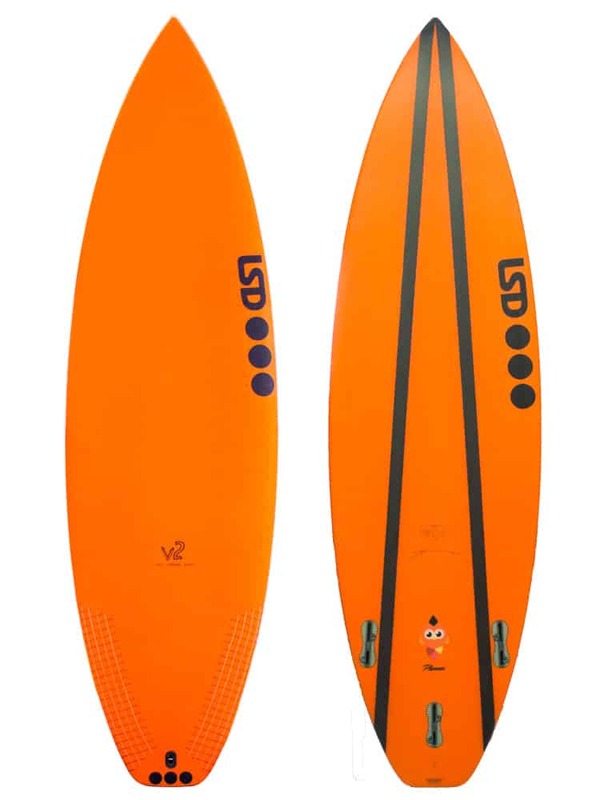 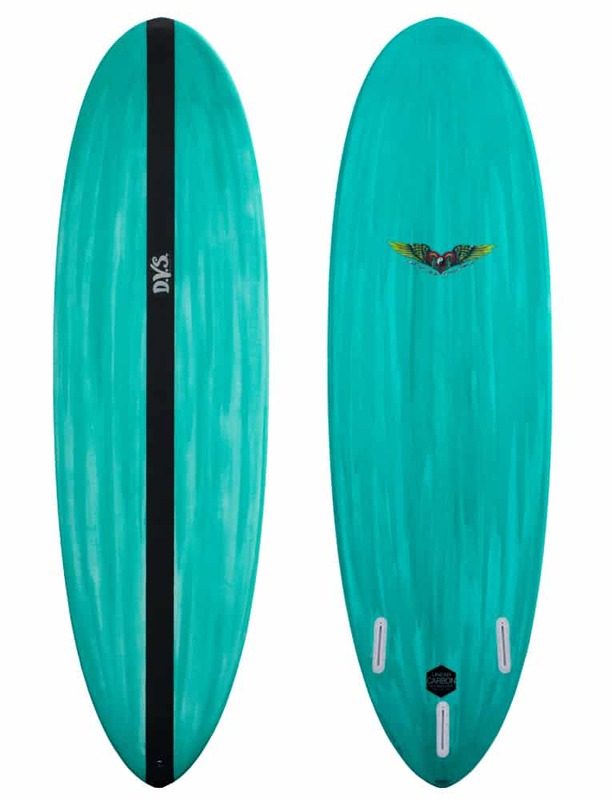 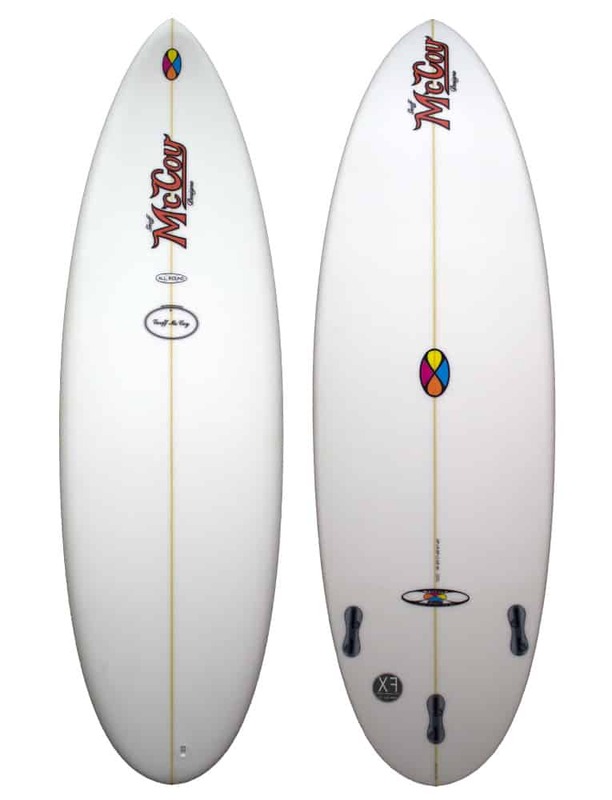 Round tail and vee combined with the tail rocker help the big board turn in a short arc off the back foot in cutbacks and rebound well off the top in smaller waves. Available in XF Technology: Built using the latest in EPS/Epoxy materials; The XF technology combines a lightweight EPS core with Biaxial fiberglass cloth and Epoxy resin.